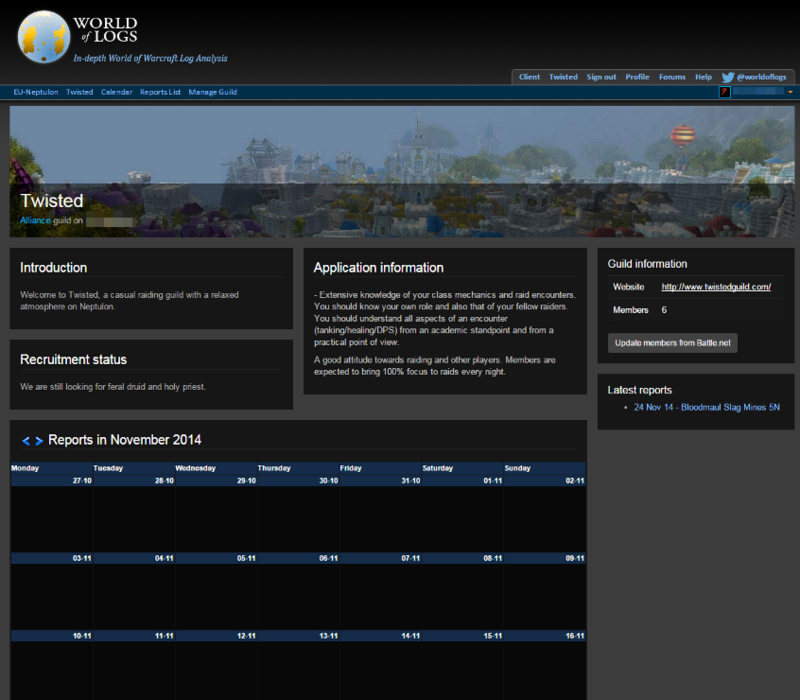 World of Logs - Tutorial - How do I manage my guild page? 1. 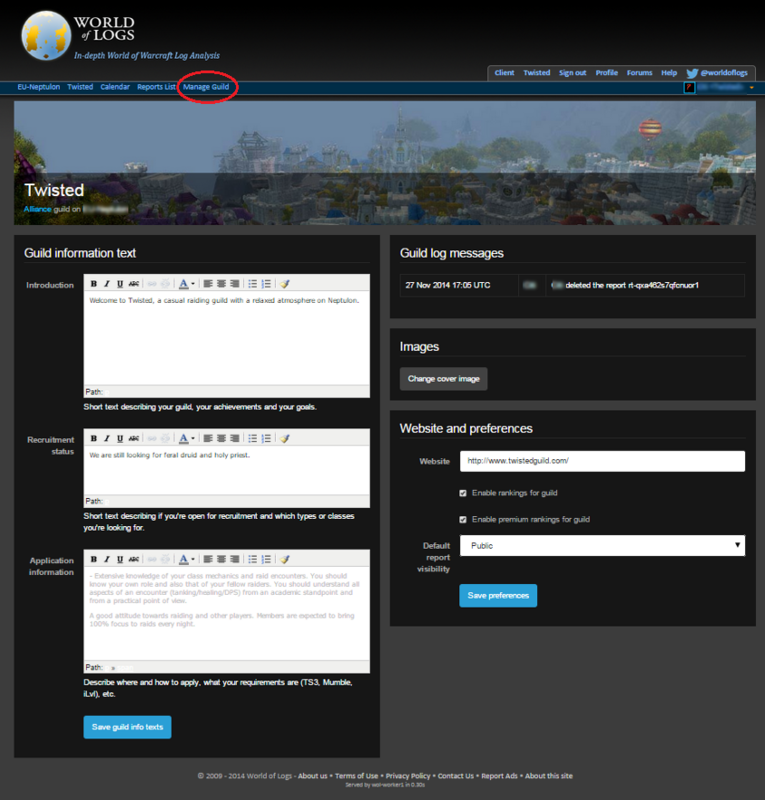 To manage your guild page, click on "manage guild". 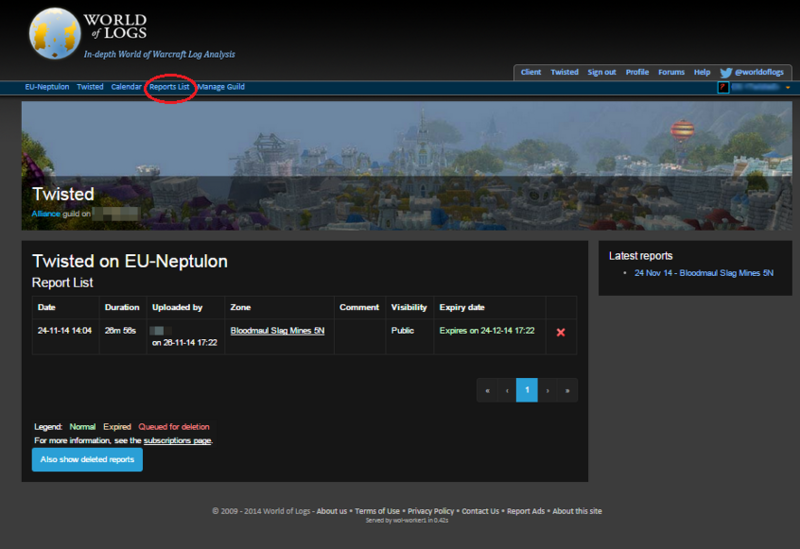 Please note that you can only manage your guild page, if you are the guild leader according to your Battle.net account. Here you can upload your own image and change the text. 2. When you go to reports list page, you get an overview of all the uploaded combat logs, it shows when your reports expire or are queued for deletion. If you want to delete a combat log just click on the red cross.